Avid hikers, backpackers, and outdoor explorers around the world grab their fleece jackets before heading out into the chilly outdoors for their next adventure. What they may not know, is how to wash a fleece jacket after it has been used. 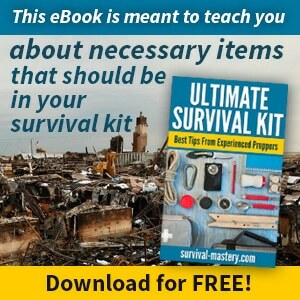 When you drop a hundred dollars or more on an expensive, but necessary, layer, you are going to want to make sure that you keep it in pristine condition. A good fleece jacket can comfortably last you for years, and many adventurous excursions, but that is only with proper care. In this article, we are going to give you the run down on why fleece is an excellent choice, how to take care of it, and what to do when you start noticing fuzz flying around your favorite winter wear. You may have found yourself purchasing a fleece jacket, not because you know what it is, but rather because it is incredibly warm and made by almost every popular hiking clothing brand. From Patagonia to North Face, you will find a multitude of options for a good fleece jacket. But, what exactly is fleece? Fleece, is a mixture of synthetic fibers, normally polyethylene, and has a similar feel to wool. The fabric itself ranges from incredibly lightweight to a heavier fleece that will keep you warm in the coldest of weathers, while still being incredibly breathable. Another favorite factor to fleece is that it is incredibly soft to touch. Making it cozy for both you and your little ones, without having to worry about nasty allergens to the fabric. Fleece is made in a variety of ways, but for the eco-warrior who loves to hike, then finding fleece made from plastic bottles might be the way to go. 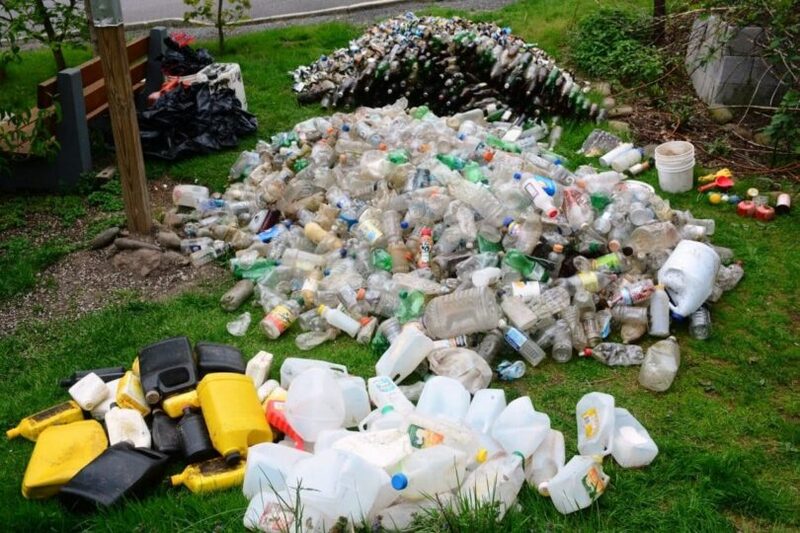 Plastic bottles are crushed into small particles that are then melted into the thin strands. The thin strands are the polyester fibers that then create a wonderful, soft, jacket. Before you start your own fleece making factory, the process requires PET bottles and a large chemical factory setting to create. Your environmental friend will be both sufficiently warm, and happy because their jacket contributed to the three billion plastic bottles taken from landfills to create their comfy jacket. It’s not just an environmentalist’s dream to have a decent fleece; the outdoor enthusiast is also going to have one or two jackets to compliment their hiking outfit. Fleece jackets are going to keep you warm and dry, wicking sweat away as you venture up the mountain. A high-performance jacket is synonymous with breathable, comfortable, and warm. 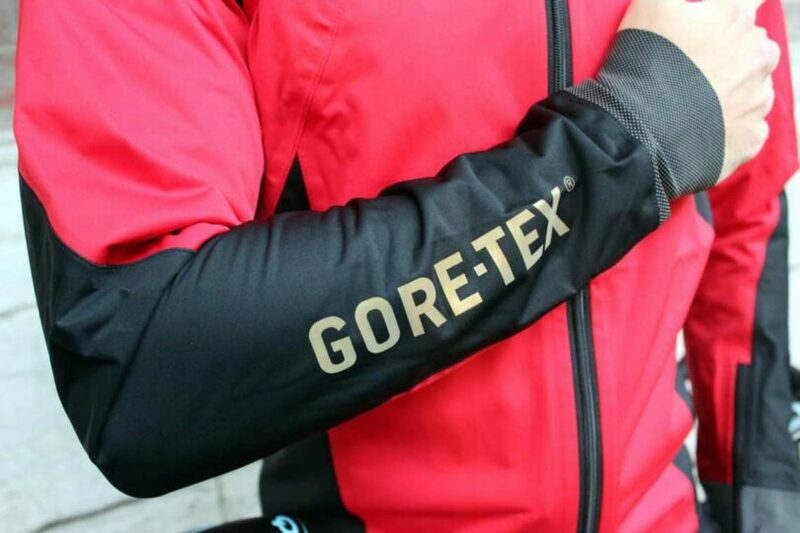 You can use it as your outer layer on dry days, or tuck it underneath a Gore-Tex jacket as a mid-layer. Fleece tend to come in zip up jackets, pullovers, and half zips. 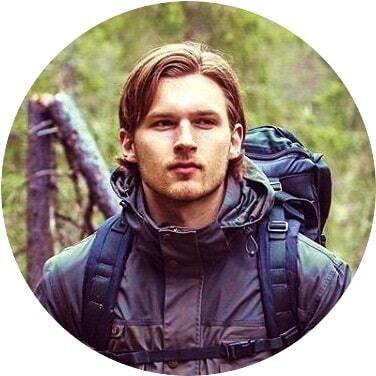 There isn’t just one type of fleece for you to choose from, the fleece depends on the weight and size, and there are typically four types for the hiker. When it comes to fleece, you have four options based on weight, size and layer positioning. While generally straightforward, having the right fleece is essential to your outdoor adventure, and can be the make or break of a comfortable trip. As we mentioned before, the classic fleece jacket comes in a few options with zippers, buttons, or straight forward pullovers. You can find these four different styles of fleece in any design. Generally speaking, a lightweight fleece will be rated at a 100 weight, and look like a base layer. What these fleece excel at is keeping your body regulated on warmer days, the fabric is very light and very breathable. This is the fleece that you would throw into your backpack before a quick day hike that might require a small layer will out on the trail. Known for its insulation, the midweight fleece is normally placed under a hard shell jacket, or a Gore-Tex jacket, to keep you warm even on a cold and rainy day. 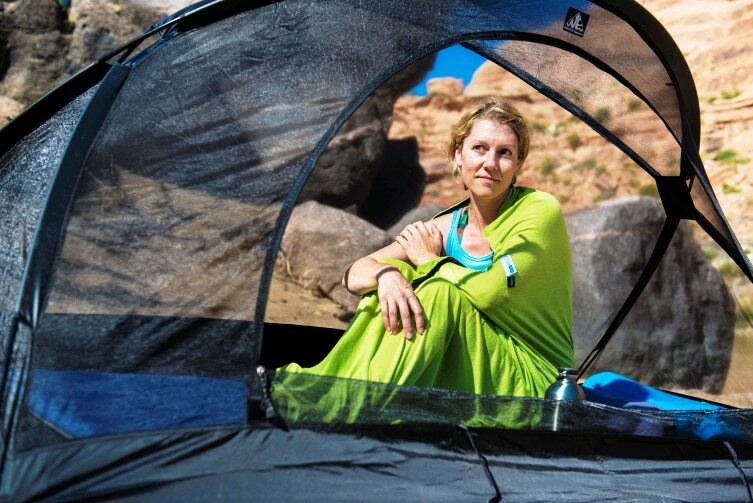 While the 200 weight fleece is less breathable than its lightweight cousin, it still allows for comfort when your body is generating less heat due to lack of activity or cold weather. The 300 weight fleece is the iconic zip up jacket that cold weather adventurers rely on for their snowy adventures. The fabric on these jackets is less breathable and pretty bulky. This is not the jacket you would zip on or pull over for an active run, rather it is better used when sitting around the campfire or getting your tent set up. 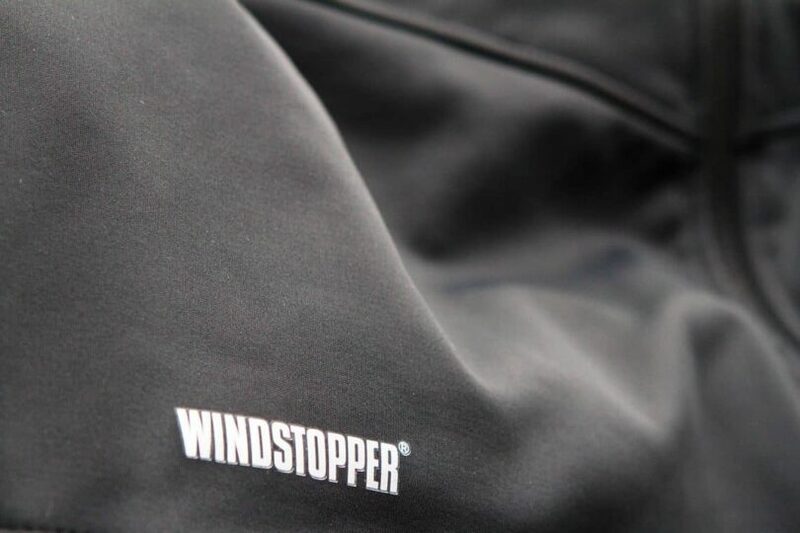 Finally, we have our windproof fleece which comes in a variety of weights and is perfect for the stationary aspect of your adventure, especially in high winds or rain. These jackets are made with a windproof center, between the first and second layer of the jacket itself. While a windproof jacket that provides warmth might sound ideal, it should be noted that these jackets tend to be stiff and are generally speaking less breathable. You are not going to want to wear this fleece if you are planning on generating a lot of body heat with a high endurance physical activity. Do check out our reviews of the top insulated jacket to help give you more options. Our first cleaning guide is for the machine washable fleeces. While most fleece can be thrown into the washer, you should always allow it to air dry to keep the fabric from shrinking. *Why not liquid? You will want to avoid using liquid detergent when washing your fleece as the strong detergent will wear down the water-resistance on the jacket. Fleece is fantastic for the outdoor enthusiast because of its water-resistance and durability, a liquid soap will reduce both of these qualities. Before you start, check the tag to see exactly how the manufacturer advises cleaning, sometimes with dyed fleece the process is a little more complicated or requires a different temperature. Turn your fleece jacket inside out, this will prevent it from piling, which is when little threads or fuzz comes loose from the jacket. 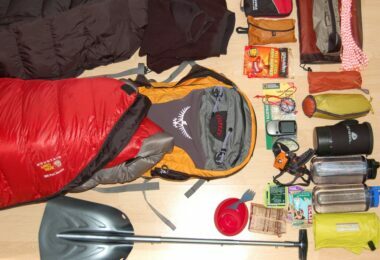 Below we will cover piling more thoroughly, and what to do if a jacket does start piling. Set your washing machine to the lowest temperature. 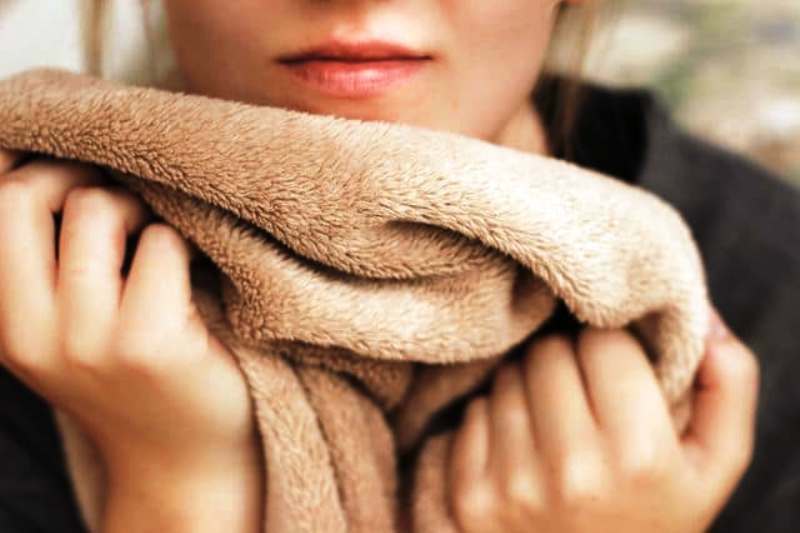 Fleece jackets should never be placed into warm or hot water, nor should they be placed in a dryer or ironed. The heat will damage your fleece jacket. Your washing machine should also have a delicate, or even hand wash setting, you want to reduce the amount of friction the jacket will encounter in the machine to avoid pilling or tears. Ideally, place the fleece jacket in with other fleece jackets, or at the very least make sure to wash the fleece with clothing that does not produce lint. In the same line of thought, empty the pockets, especially if you were carrying paper products. Lint is next to impossible to remove from the jacket. Take your mild powder detergent and mix it with a little water before adding in, this will keep the powder from leaving residue on your fleece jacket. Regardless of the soap, never use bleach on your jacket or any types of fabric softener. Once the fleece has run through the machine, take it out and hang dry the garment in a dry place. Fleece, thanks to its special fabric blend, does not require a long amount of time to dry. A Weird Smell? : If you find that your fleece has picked up a smell, either from the detergent or a perfume, you can add a small amount of baking powder to your detergent mix while washing to help eliminate any weird scents. This is also a great way to reduce sweat odors, or new product smells. This next guide is for the purist fleece cleaner who does not want to risk pilling with a washing machine. The steps are similar but do require extra work. Some fleece jackets require hand washing because of their fabric or the fabric dye itself, always read the manufacturer notes on the proper handling of your jacket. As before, you should check the tag on your jacket and see if there are any specific instructions to clean your jacket, make sure to follow or incorporate those. Fill up your bucket or sink with cold water. Shake in the appropriate amount detergent in the cold water and make sure to mix it around before placing the jacket in, or you will have residual detergent soap. Dunk the jacket into your soap concoction and give it a good rub, focusing on areas where you sweat or noticed any dirt. You can use a scrub brush to clean the jacket but be careful to not scrub the jacket too hard. Empty out the sink, or bucket. If you are using a sink, run the water over the jacket until the soap is thoroughly rinsed out. If you are using a bucket, make sure to fully clean it out, and put in fresh cold water, rinse and repeat this process until the jacket comes out of the bucket clear of any detergent. Once the jacket is well rinsed, hang it up in a dry room. Try to use a clothing hanger to prevent any clip dents on the shoulders. Make sure not to put the fleece into the dryer, however, if this cannot be avoided, set the dry to air dry with the coolest temperature setting possible. *Pro Tip: If you are going old school, you can use a washboard to scrub the fleece, just make sure to be gentle, especially if it’s light weight. You are going to want to avoid pilling on your jacket, so no hot water, and be gentle on the jacket. 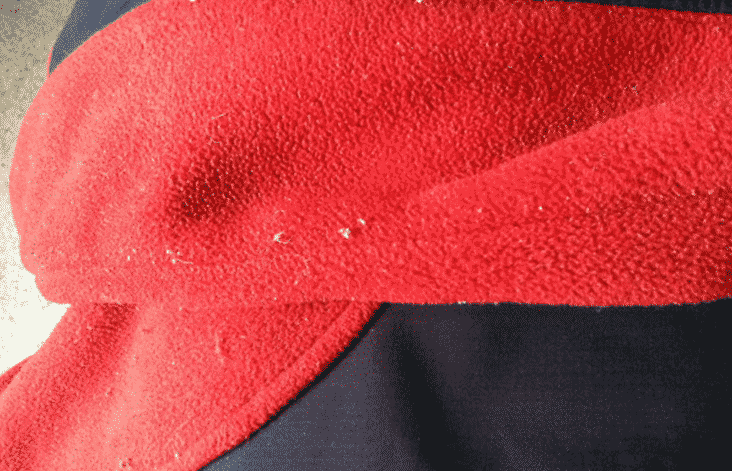 Other than keeping your jacket clean, there is one other common concern that happens with all fleece jackets: pilling. Pilling is the little fuzzy fabric balls that attach itself all over your jacket and is the reason you always turn the jacket inside out before washing it. The lint balls build up due to several reasons. The first, and the most common is from rubbing the jacket while it is cleaning, whether it is the natural agitation that occurs, or too vigorously hand scrubbing. It could also come from getting stored in the same location as other fabrics, or be washed with other fabrics. The fibers get tangled easily and then begin to build up and pull apart. Regardless, without taking care of pilling immediately, the lint will continue to build up on your jacket, ruining its softness, and its water resistant coating. If you have noticed pilling on your jacket, and act quickly, you can remove the fuzzy lint with just a few items and some will power. 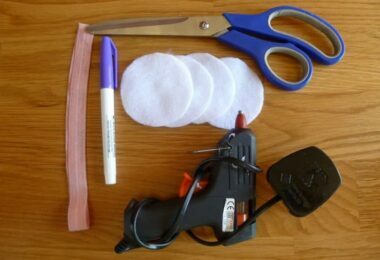 First, you will want to have a fabric shaver or a disposable razor, and some wide sticky tape. 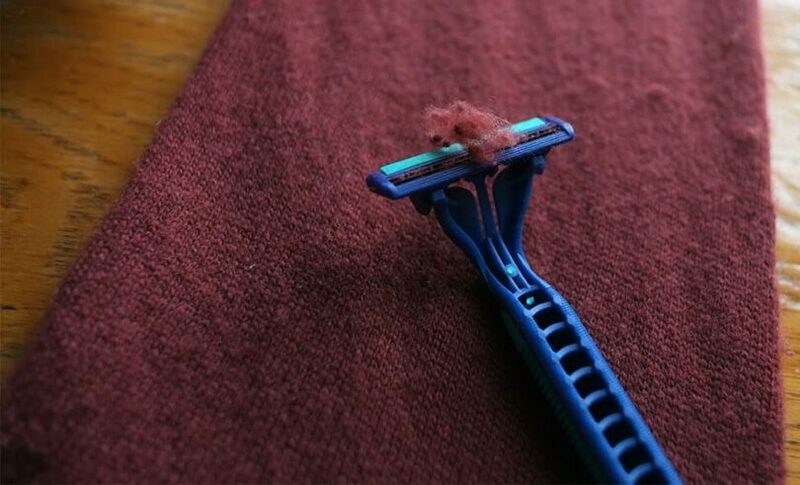 Fabric shavers can be purchased at any fabric store, but you can also use your disposable razors! Gently run the razor over the pilling to cut away the lint, a slight amount of pressure will do the trick, if it’s too heavy you risk cutting the fabric or leaving a mark. Fabric shavers reduce this risk with their special screens and fan blades that cuts and quickly remove the pilling away from the jacket. Once the lint falls off you are going to want to quickly remove it using the wide duct tape, otherwise, it will get back on the jacket or all over your floor. Make sure that you remove pilling after the jacket has been cleaned and is fully dry, or you could risk damaging your favorite fleece. If your struggle is not with pilling, but with your adorable pet’s hair lingering on your black fleece jacket, you can use a damp rubber glove. Simply run the glove over the fleece and any problem areas and the hair, dog, cat, or other will come right off with no damage to the fleece jacket! How Often Should I Wash My Fleece? Because fleece has a water-resistant finish, you are going to want to be careful with how often you are cleaning it. In general, with fleece jackets and sweatshirts you are going to want to wash them after six wears if you feel that the fleece has an odor or got exceptionally dirty than feel free to wash it. After the jacket is cleaned, you are going to want to store it in a drawer rather than letting it hang out in an open space, like a jacket rack. Unfortunately, fleece picks up a lot of dust and lint which can be very difficult to remove. If left for a long time, moths can become a bit of a nuisance to your favorite fleece jacket, so storing it in a closed space is really the best way for the jacket to stay protected and intact. If you store your fleece correctly and wash it often, a good fleece jacket can last you years of outdoor adventure and fun. Fleece jackets are a wonderful addition to your wardrobe whether you are an outdoor enthusiast or simply just wanting a warm fuzzy jacket! Regardless of its weight and layer order, you can easily keep your body heat well insulated, sweat off your back, and enjoy the quick dry effect! A gift of a fleece jacket is an excellent purchase to your environmental sustainability focused friend as they can be made from recycled water bottles and it is considering the vegan alternative to the classic wool jacket. 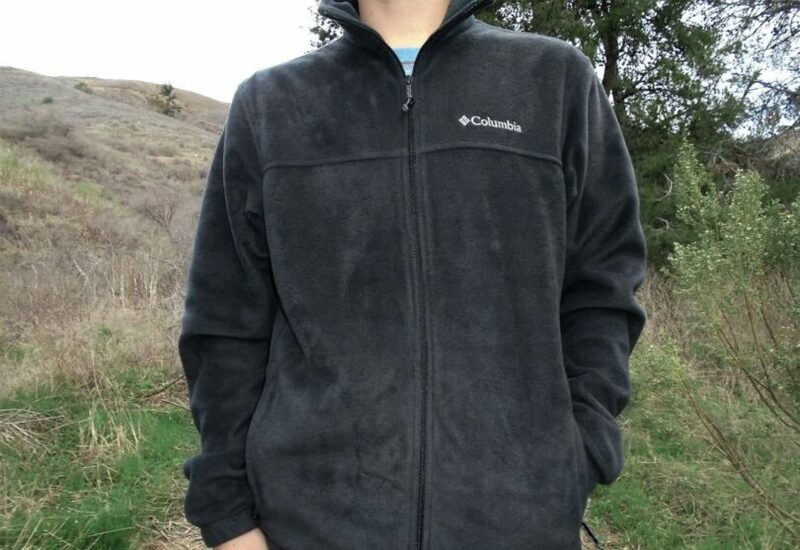 Since it is man-made, fleece tends to last longer than any of your other outdoor attire. 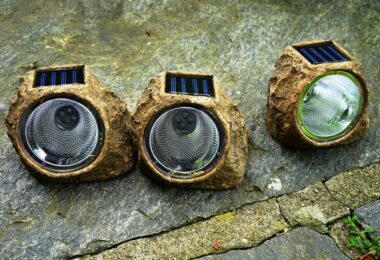 It is both durable and long lasting, making it a great buy for the outdoor enthusiast. For those of us allergic to wool, fleece is a great option to have, as it has limited allergic reactions, even to those with highly sensitive skin. Often winter outdoor adventures can be limited by only having wool options, so stalking up on fleece jackets, hats, blankets, and sleeping bags will save you from an itchy and uncomfortable trip. Remember to keep it away from any heat source, and let it dry naturally and your fleece will last you a lifetime! 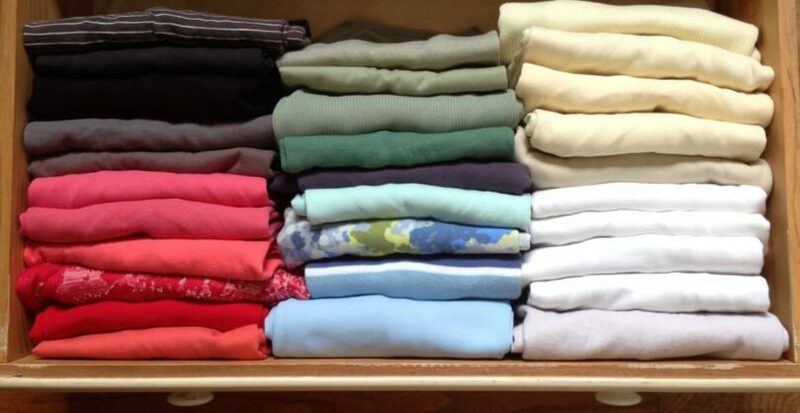 Have we missed your favorite fleece washing practice, or how you pick out your fleece jackets? Let us know in the comments below! Before you start your big adventure, check out our piece on the life-saving benefits of layers clothing to give you more insight.